There are several techniques from which you can improve your FM radio receiver reception. First you have to know how FM (frequency modulation) waves travel. FM radio signal or fm radio waves travel in a straight line so if anything like buildings, mountains, walls etc. come in its way will block the signal or makes the signal weaker as a result your FM radio will receive the weaker signal or no signal. There are many ways from which you can improve the reception. Before trying the below mentioned techniques first you should try these simple tricks may be you will get better reception only doing these tricks and so you dont have to do the other big techniques. Some time only changing the radio receiver position improves reception greatly for example migrating from one room to another or taking the receiver near the window improves reception very much. You can also try simple wire and attach it to the telescope antenna of the radio and throw this wire outside the window but make sure the wire is not opened from any place and also it is not touching any mains switch, connection or wire. But when these tricks will not work it means you are in fringe area where reception/signal is poor. For fringe areas the best way is to use a good FM antenna. There are many types of FM antennas available in the market but you can also make one easily at your home if you dont want to buy. By making a simple DIY FM antenna at home you can easily improve your FM radio reception. There are many types of FM antennas you can make at home like Ground plane, dipole, yagi etc. But dipole antenna is the easiest antenna you can make in few minutes. This antenna can be made with simple wires also. You will find further detials of making this antenna in the Radio and RF catagory of this website topic DIY FM Antenna. You can use this antenna in home or outside, but the performance will become better when it is attached on higher locations outside for example roof, hill etc. Most radios have an option to connect antenna at their back or side. Other technique is to use FM RF amplifiers. FM RF amplifier is an electronic deivce which will boost the radio signals received by the antenna, there are many ready made FM RF amplifiers / FM boosters are available in the market but you can also make one by DIY at home if you have knowledge in electronics. Another way to improve the FM reception is to purchase an expensive good quality sensitive FM radio receiver. 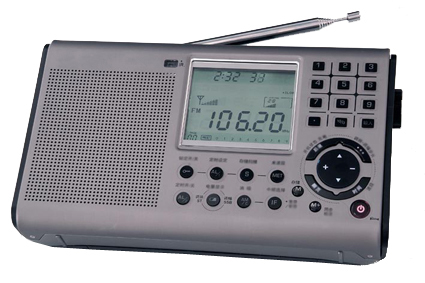 A good quality FM radio receiver contains build in RF (radio frequency) amplifier, a quality FM detector section and a good quality noise rejection section in its circuitry which receives even a weaker signal clearly. A good brand car radios also offer good reception as well. A good quality FM receiver with a higher location attached antenna will receive even distant radio stations clearly.